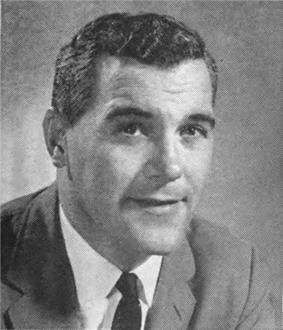 Standish Fletcher Thompson (born February 5, 1925) is an American lawyer and Georgia. Thompson was born near United States Army Medical Corps and transferred the next year to the United States Army Air Corps where he was a navigator with the Air Rescue Service. On demobilization, he attended the Methodist-affiliated Emory University in Atlanta, from which he graduated in 1949. During the Korean War, Thompson re-enlisted in the United States Air Force as a pilot. On returning from Korea, Thompson graduated in 1957 from the since defunct Woodrow Wilson College of Law in Atlanta. The following year he was admitted to the Georgia bar and set up a law firm in East Point. He was also president of an insurance firm. Thompson was a lifelong Republican, not a convert from the State Senator Charlie Brown in District 34. Thompson was one of only four Republican members of the upper chamber of the legislature at the time. He was selected by the Democratic majority to represent Fulton County in the drafting and sponsorship of the Metropolitan Rapid Transit Authority Act. Two years later Thompson became the first Republican since the Reconstruction era to represent Atlanta and the 5th Congressional District in the United States House. On October 3, 1966, about a month before the gubernatorial nominee, Atlanta businessman Lester Maddox. Weltner's U.S. House colleague, Howard "Bo" Callaway, the Republican gubernatorial nominee, at first expressed "amusement" over the "foolish" Democrat pledge and claimed that Weltner really withdrew from the reelection race because he feared that Thompson, whom Callawy endorsed, would unseat him. The Athens Daily News agreed with Callaway's assessment and emphasized that anti-Maddox black voters at the time had such little experience with ticket-splitting that Thompson could prevail. Callaway later withdrew his comment and hailed Weltner's political courage. Weltner also refused to support Callaway in the race against Maddox, opting for a write-in campaign on behalf of Maddox's primary opponent, former Governor Ellis Arnall. Weltner termed southern Republicans "Dixiecrats with button-down shirts" and accused Callaway of being a tool of big business. The Democratic Executive Committee then chose Archie Lindsey, then the chairman of the Fulton County Commission, to replace Weltner on the ballot. Lindsey had only three weeks to mount a campaign. Thompson prevailed, 55,423 (60.1 percent) to Lindsey's 36,751 (39.9 percent). Thompson netted some 30 per cent of the black vote. Even so, Thompson benefited from the white backlash against the Civil Rights Movement and the administration of U.S. President Lyndon B. Johnson, who was highly unpopular among segregationist, blue-collar whites who lived in Atlanta's southern and western neighborhoods. Thompson was re-elected in 1968, when Weltner, running on the Humphrey-Muskie ticket, sought a comeback. He was again reelected in 1970, when he defeated Andrew Young, who after the next election in 1972 in a revised district succeeded Thompson in the Fifth District. Thompson's success in winning in a traditionally Democratic district that was by then 40 percent non-white was noted in Time magazine. The publication described Thompson as an "unreconstructed conservative who opposes busing, liberal judges, Jane Fonda in Hanoi, Black Power and gun control." In line with this Fletcher Thompson helped create a rift between the Black community and Black Panther Party in Atlanta. Thompson was quoted by journalist J. Lowell Ware (September 18, 1971), "the Black Panthers should stay in California," and "neither they nor their philosophy are welcome in Atlanta." Thompson was editorially endorsed by C. A. Scott, owner of the Atlanta Daily World, the only daily African-American newspaper in Georgia. He was the first member of Congress from Georgia ever to name African Americans to West Point and the other military academies. He was the first 5th District congressman to employ an African American in his Atlanta office. In 1972, Thompson ran for the Wallace/Nunn". With limited national Republican support, Thompson lost to Nunn, 362,501 votes (46.5 percent) to 404,890 (52 percent). In time Nunn, who served for four terms became one of the most influential U.S. senators. After leaving the U.S. House, Thompson returned to his law firm in Atlanta. In 1985 he was made a member of the Marietta, Georgia.